Opening a bank account – the painless way! Singapore is one of the world’s most prosperous countries. It is a prominent financial centre, and has a highly developed economy, attracting major MNCs to its shores. Its banking industry has played an important role in the success of the country, and both local and international banks can be found throughout this metropolis. Finding a bank is easy, but choosing the right one to open an account with involves a little more work. Thankfully, we have already done the research for you! Banking centres should be located near your house or workplace. It is common to find at least one branch in each neighborhood. Preference should be accorded to banks with plenty of Automated Teller Machines (ATMs). Online banking services – all major banks in Singapore offer online and mobile banking, streamlining the banking process and enabling you to carry out transactions anytime, anywhere. Look for banks offering reasonable rates for mandatory minimum balance, monthly deposit, and income. You will need an employment pass to open a bank account. If you hold a dependent’s pass, you can only have a joint account with your partner. Children aged between 7 and 15 can open a savings account if parental consent if provided. Banks offering junior accounts include POSB and Citibank. There are three main types of bank accounts: savings account, current account, and fixed deposit account. Each type of account has its own unique features to suit different budgets, requirements, and purposes. A current account or a savings account is ideal for daily money management and paying bills. If you are interested in putting aside a sum of money for long-term savings, consider opening a fixed deposit account. Sometimes two or more people open an account together – this is called a joint account, and will be suitable for expats with a dependent spouse. This island country might be small, but it is home to a plethora of local and international banks. 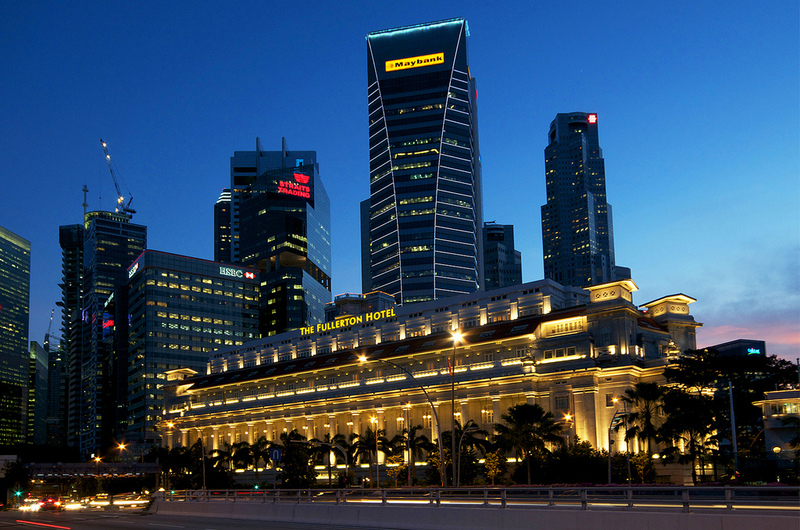 We have compiled a list of the most popular banks in Singapore. Asset-wise, this bank is the largest bank in Singapore and South East Asia. DBS placed 14th in the “Top 200 Asian Banks 2008.” It is partnered with POSB, another local bank in Singapore. Between them, they have the largest and most comprehensive network of bank branches and ATMs in Singapore. This bank was established in 1935, and is one of the leading banks in Singapore. It has won the title of “Best Overall Fund Group in Singapore” during the Singapore Fund Awards 2008. It is partnered with OCBC in the Shared ATM Network, with over 1,200 ATMs spread throughout Singapore. OCBC is a financial giant in Singapore, ranking first in the Top 5 regional banks in Asia. It is partnered with UOB in the Shared ATM Network, with over 1,200 ATMs spread throughout Singapore. It offers mobile banking that utilizes fingerprint recognition, enabling you to access your account with one touch. It is the first American bank to set up a branch in Singapore, and was among the first foreign banks to be awarded Qualifying Full Bank. Visit their Citibank Paragon Instant Banking Centre on Orchard Road – it is accessible 24/7 and offers instant account opening, with live assistance from CitiPhone Officers. It is also part of the ATM5 network. Standard Chartered Bank is the custodian bank for foreign institutions in Singapore. It offers very reasonable rates, coupled with a variety of savings accounts to suit every need. It is part of the ATM5 network, which consists of major international banks like ANZ, HSBC, and Standard Chartered, and participating Citibank and Maybank ATMs with the ATM5 logo. All participating ATMs offer free withdrawals, with no hidden charges. Maybank is among the top five banks in ASEAN, and is a Qualifying Full Bank in Singapore. It offers cards with excellent discounts and benefits, and they always have new promotions – be sure to check for the best deals. It is also part of the ATM5 network. The procedure for opening a bank account can be pretty simple. For this purpose, you can get an application form from the bank or download the form from the bank’s website. Bring along essential documents, as the bank officers will request physical proof. Pay attention to the key terms and conditions that apply to your account – you won’t want to be hit with unexpected charges! Once your identity and qualifications are verified, you will be able to open an account. You may have to wait approximately five working days for your account to be activated. However, it is recommended that you open a bank account in Singapore before you leave your home country. Moving to another country for a long-term stay can be rather hectic, and the last thing anyone needs is to tangle with red tape at the bank. You may end up delaying much-needed funds, which will mess up your financial situation! Gather your necessary documents and apply online by submitting an application form to your chosen bank – visas are not essential to the application process. However, this process is restricted to residents from certain countries – before trying to open an account in a bank in Singapore, always check the bank’s website if you are allowed to do so. Opening a bank account in Singapore can be an extremely easy affair if you do your research and have the proper documents prepared well beforehand. However, you must always remember to read the fine print, and don’t hesitate to ask questions. Shop around the myriad banks in Singapore to find the best deals and rates – never settle on the first bank you visit. If you have Singaporean friends, ask them about their bank of choice!